Growing cannabis plants outdoors can be one of the greatest pleasures on Earth. Knowing which strain is the best choice for your outdoor project can be the difference-maker when growing indica, sativa or hybrid strains. Below is a list of the five best strains to grow outdoors in 2018. This lady belongs to the Diesel family which is well-known for her loud, pungent, fuel aroma, intense flavor and high THC levels of 27.1%. The aroma of Amherst Sour Diesel is a mix of ripe fruit and oil. Her taste is a blend of tropical fruit, exotic woods with a rich background, which can only be described as overpowering and heavy on the palate. Due to her sativa dominance, Amherst Sour Diesel will be mainly cerebral with a comfortable physical effect. The soaring high is euphoric, uplifting and invigorating, which may last for hours on end. 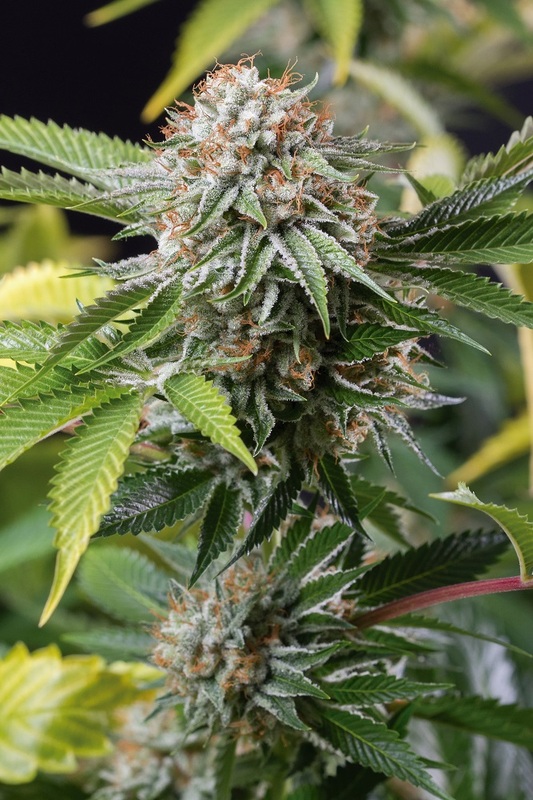 When she grows outdoors, this 80% sativa / 20% indica hybrid, will flower in 65-70 days and can grow between 7-10 ft. Outdoors she can produce yields of up to 3 kilos per plant / 71–106+ oz./plant. 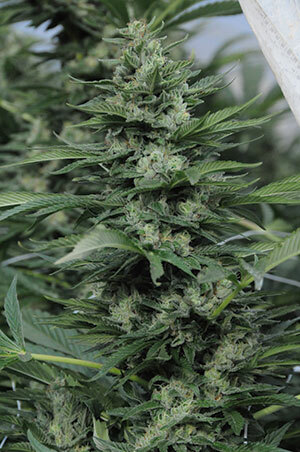 Amherst Sour Diesel will develop long, dense, elongated buds which have severe biomass. Blueberry Headband is a hybrid of Blueberry and 707 Headband. She is 30% sativa / 70% indica and will grow more indica dominant in appearance. The flavor and aroma are not so pungent and could be described as subtle and fruity. There is a background of aniseed combined with a mildly earthy aftertaste. Blueberry Headband is high in THC ranging from 19-23%, meaning she is a hard hitter with couch-locking capacity. She is an excellent choice for medical patients looking for therapeutic benefits. When she grows outdoors, she can grow as tall as 10-13 ft, and she is capable of producing harvests of up to 3.5-4 kilos per plant / 141 ounces per plant in 63-68 days. Blueberry Headband will flower and produce short, compact, tight nugs which will mature with red and purple hues. This lady is a cross between Bubba's Gift and O.G x Afghani, meaning she is an indica dominant powerhouse which is 15% Sativa / 85% Indica. The flavor and aroma are delightful and can be described as a sophisticated blend of exotic fruit, mango and coconut with overtones of sour fruit. A very sweet terpene profile which has unique exotic flavors. Her effect is powerful and highly sedative, making her great for relaxing and also for therapeutic use. Mango Sapphire grows as tall as 7-10 ft. in height and will flower in 48-53 days, making her an excellent choice for growers with shorter summers. She can produce harvests of up to 1-2 kilos per plant / 35-71 ounces per plant, of thick, dense, frosty buds. She also has a high resistance to mold and wet weather. Our Sour Diesel #2 has been part of the Humboldt crew for over 17 years. She is a cross of Mexican Sativa x Chemo (Afghani). The Mexican Sativa was a long flowering strain that had a unique high, while the Chemo strain was short flowering, indica dominant and ideal for growers with short summers. Sour Diesel has a powerful, pungent and overwhelming stench, similar to diesel and citrus. Her fragrance will have a gassy overtone and, when smoking, the flavor is earthy, peppery, spicy and citrusy. The effects are instant, and she can keep you in a state of elevated focus and euphoria. A great choice for staying sharp and motivated. When growing this lady, she will grow vigorously with multiple side branches which display thin-bladed leaves. Sour Diesel #2 is a massive feeder, so we recommend you recharge the growing medium with a nitrogen-based feed, once the plants begin flowering. She performs with excellent results when using SCROG, however, when left untrained, this lady can grow as tall as 12-16 feet and produce huge harvests, ready for late November. A seventh-generation of the original Southern Humboldt O.G Kush, selected by the breeders at the Humboldt Seed Organization. This special pheno has become known as Lemon Garlic O.G. As her name suggests, she has a pungent, powerful aroma which can be described as pine-sol, fresh garlic and a biting citrus edge. Her flavor is complex and, when smoking a joint of Lemon Garlic O.G, the mouth palate will become coated with a thick, garlic balm aftertaste. The effects are strong and not for the faint-hearted, as her head high can be intense and a cerebral rollercoaster. 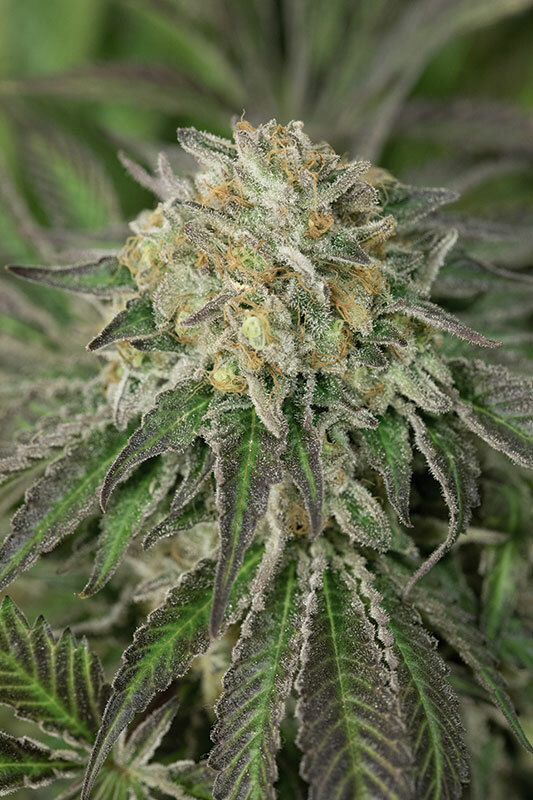 Over time, Lemon Garlic O.G can make you feel lethargic and heavy bodied, making her an excellent choice for medical patients, or just for winding down after a long day. When growing outdoors, she will grow quickly in the vegetative stage with long spacing between fan leaves. It is recommended to add support to maximize potential harvests. When flowering, Lemon Garlic O.G will stretch considerably with long internodal spacing. She can grow over 4 meters tall if left untrained, producing dense, golf ball-sized nugs that can be harvested in the first week of October.